A great family cruising boat powered by a 50hp Mercury outboard engine. 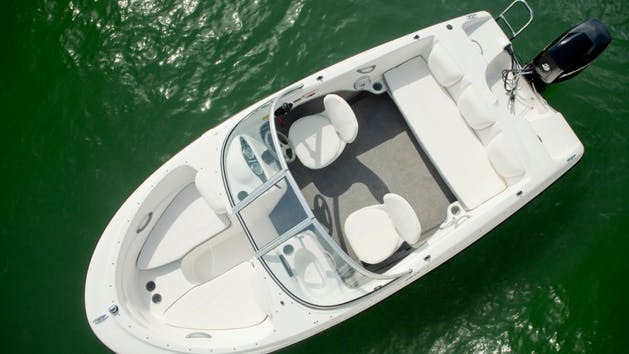 The beam forward hull design affords spacious and comfortable seating. This low cost boat is perfect for cruising and checking out the sites on Mission Bay or San Diego Bay. Seats up to 4 passengers. Additional charge for fuel applies.